Home » News » Cesars Palace and Hells Kitchen , Dubai, U.A.E. Cesars Palace and Hells Kitchen , Dubai, U.A.E. 17 March 2019 was a truly spectacular evening as we launched the first ever non-gaming resort from the legendary Caesars brand and celebrated the opening of Gordon Ramsay Hell’s Kitchen Dubai with a special guest appearance from Multi-Michelin-Star Chef Gordon Ramsay. 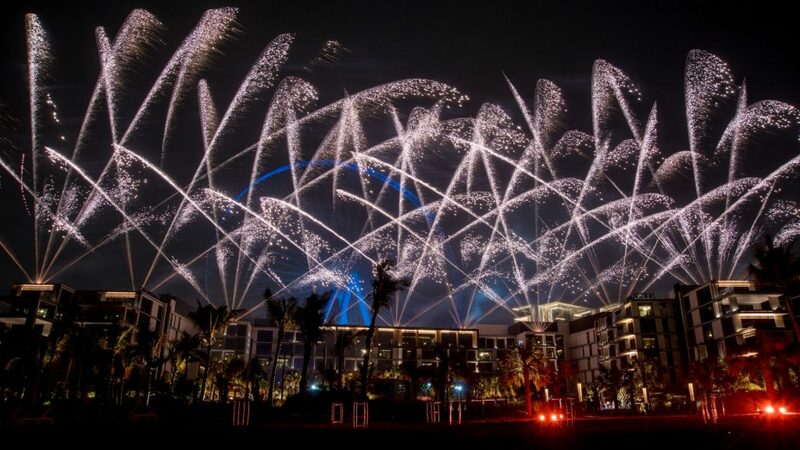 Flash Art produced spectacular roof top and high fireworks for the official opening ceremony.